Price includes free shipping! Price includes free shipping! 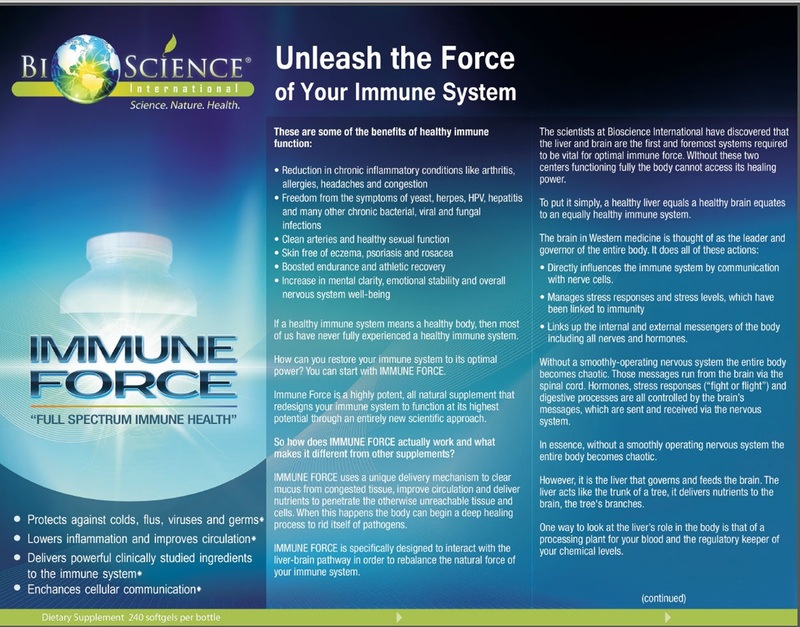 Unleash the power of your immune system! 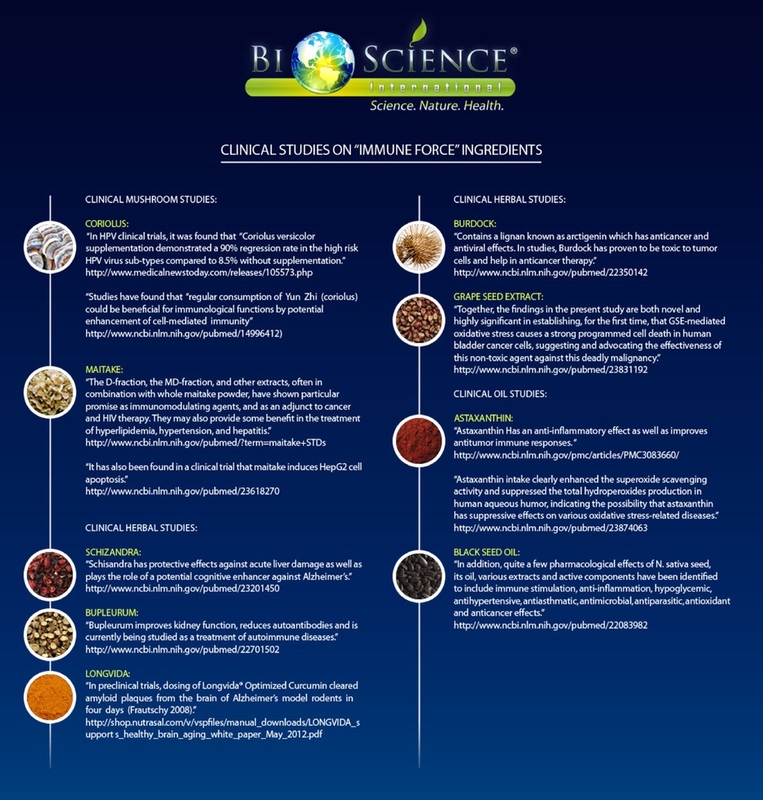 Bioscience International is a think tank of researchers and advanced scientists in the fields of bioscience, joined together to optimize health regeneration and immune support and bring you the most potent medicinal nutraceuticals to enhance your body's natural ability to recode itself for optimal healing. 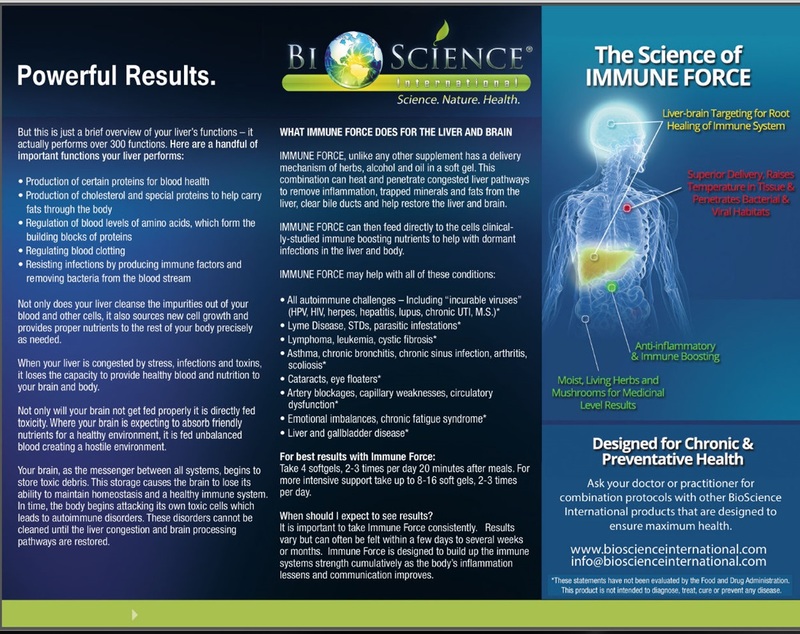 As experts in the field of Bio-availability and the precise interactions of herbs and minerals within the electrical system of the human body, we use groundbreaking bioscience and a liposomal delivery system to advance the way nutrition and the innate intelligence of your body's systems work. All natural, unparalleled and potentized formulas that won"t become toxic to your body as they repair, restore and regenerate your health to its optimal function! 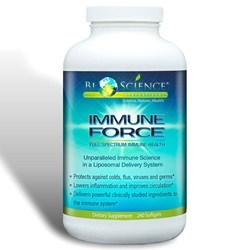 BioScience® Immune Force works because the supremely advanced Liposomal delivery system of Oils, Alcohol, Herbs and Mushrooms penetrates deeply into the attackers to destroy their takeover. When dealing with immune challenges, you need the most powerful formula in an advanced delivery mechanism. 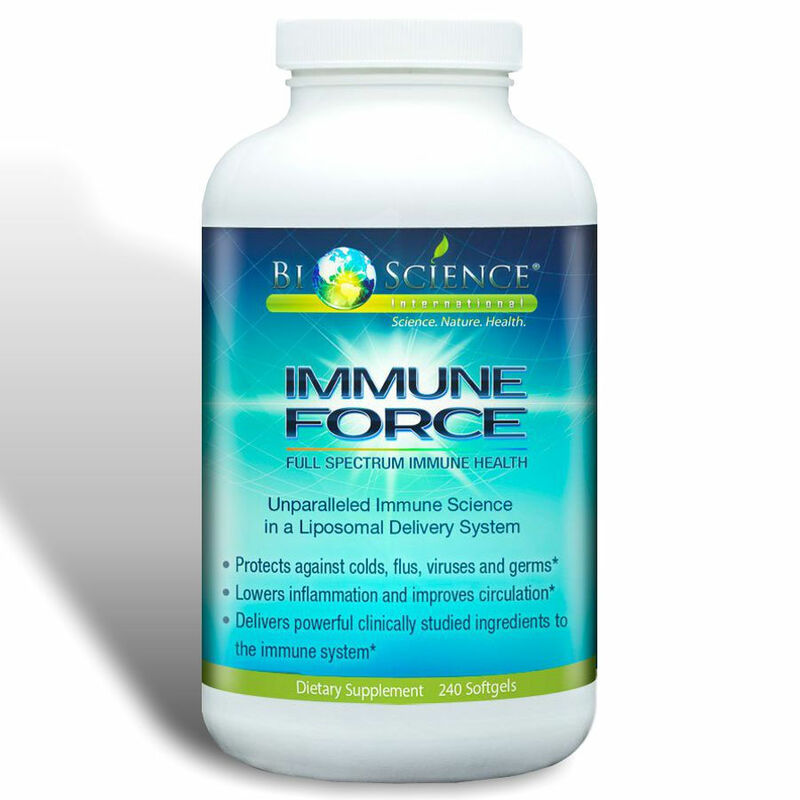 Immune force is that formula.